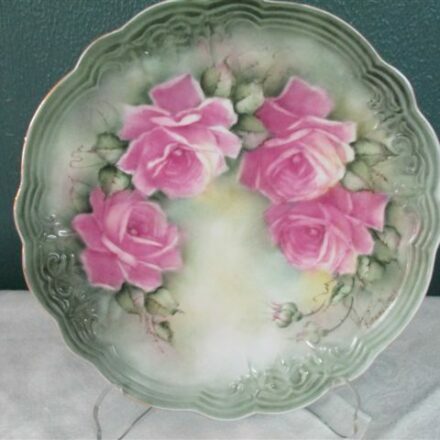 Hand painted with beautiful tea roses in pink/rose/mauve tones with one white rose. 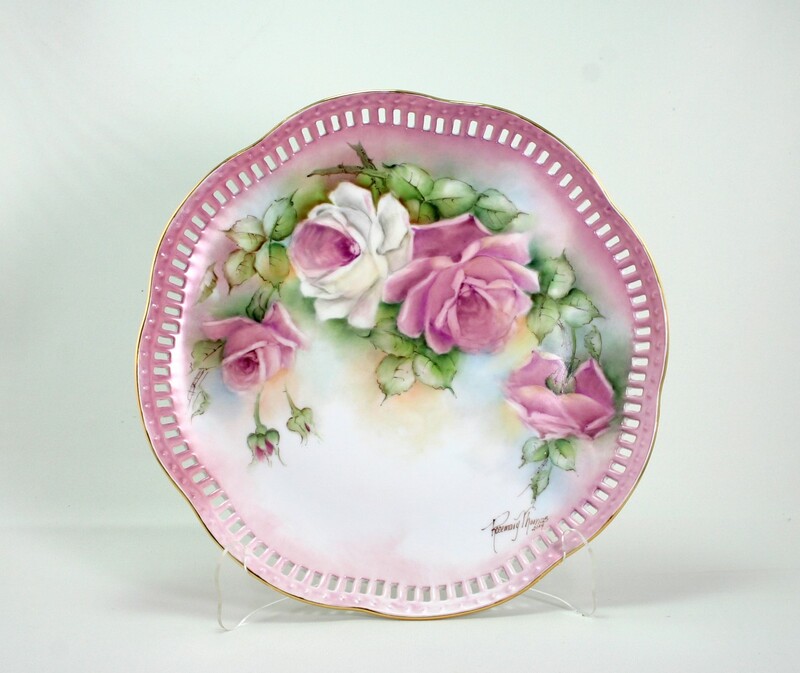 A very graceful design on a delicate large plate. 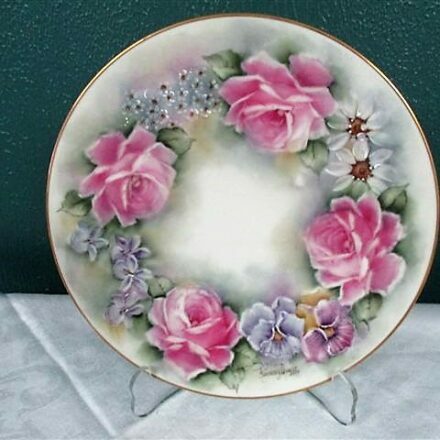 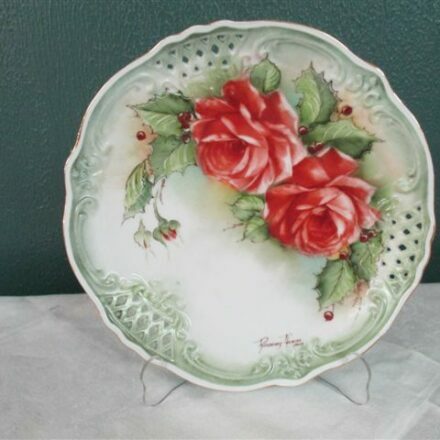 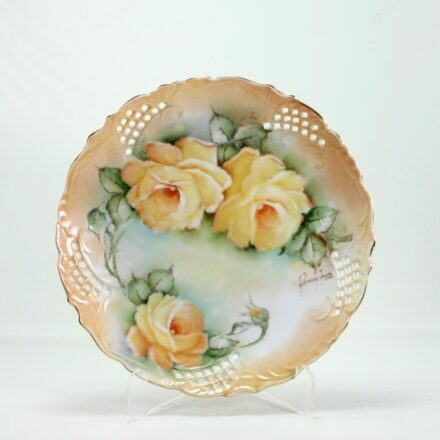 A pretty plate for all occasions.